Micromax has expanded its offerings and has announced its entry into the home entertainment segment in India. The company has introduced six LED TVs, two home theatre systems, a 3D Blu Ray player and a Smart Stick Android dongle. Micromax has already made a huge impact in the smartphones and tablets segments in India. Micromax's LED TVs range from 24-inch to 55-inch, with most of the TVs are full HD. The 50-inch variant is 3D, while top-end 55-inch model also offers Smart TV feature for Internet browsing and apps.. These LEDs are available at a competitive price, starting from Rs 15,990 and going up to Rs 1,29,990. All models feature a USB port that support plug-and-play capability. The LED TVs will initially be available across 170 cities in nine states – Delhi, Haryana, Madhya Pradesh, Punjab, Maharashtra, Rajasthan, Andhra Pradesh, Karnataka and Gujarat. Micromax is eying about 8-10 percent of the television market in India by 2014. “In the next two-three years, we expect to log Rs 1,000 crore revenues from the consumers electronics segment,” Rajesh Aggarwal, Managing Director of Micromax is quoted as saying. 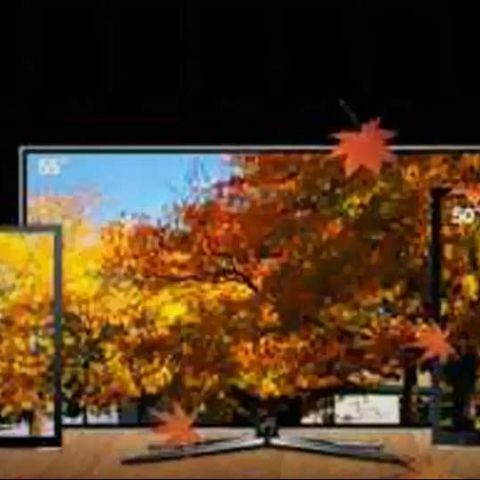 Learn more about the new Micromax's TVs here. Micromax's 3D Blu-Ray player supports all 2D and 3D video/audio formats. The device is priced at Rs. 6,490. Moreover, the company has introduced two new home theatre models - HT037F1 and HT089F1 – priced at Rs 5,990 and Rs 6,990 respectively. The company says its Smart Stick Android dongle enables users to convert their TV into an Android TV. The device runs on Android 4.0.3 Ice Cream Sandwich and is powered by a 1GHz processor. Other specifications include HDMI interface, 4GB internal nand flash and Wi-Fi. It also supports keyboard, mouse, and game pad connections. The Micromax Smart Stick Android dongle is priced at Rs. 4,990. Micromax's announcement of widening its offerings in the country comes shortly after a report by research firm said the company had taken lead in the Indian tablet market, ahead of the the international brands such as Apple and Samsung. The company already ranks third in the smartphones category, after Nokia and Samsung. Micromax's entry into consumer durables is likely to heat up more competition in the sector, considering the Micromax's reputation of flooding the market with devices in each possible budget category. what are the best home theatres under 25k?